Today on the its earnings call, Yahoo CEO Marissa Mayer stated that Yahoo passed the 300 million active user mark during the first quarter of 2013. This is a key milestone for the company, as it underscores that even as its traditional business pillars of display ads and search revenue slow, the company is managing to grow where it has decided to set its focus: mobile. Yahoo has been acquiring small technology companies to bolster its mobile talent, a resource that the company has admitted to having too little of. The company has had notable success in its mobile-first strategy. Most notably, a redesign of its Flickr app for iOS saw usage spike by a firm 25%. That said, work remains ahead of the company on three fronts: It must acquire the talent needed to drive mobile innovation, it must execute and drive increased mobile demand, and it must train its monetization tools to function across mobile usage. Today’s comments on mobile usage come after, one quarter ago, Mayer stated that Yahoo would make mobile a “mercurial” component of its business. Quality she said, would draw in usership. And as its user numbers grow, the revenue will follow. Currently, she stated, mobile is a ‘nascent’ revenue source, but in the eyes of the firm, as it is the growing consumer use segment, it will be solved from a monetization perspective. 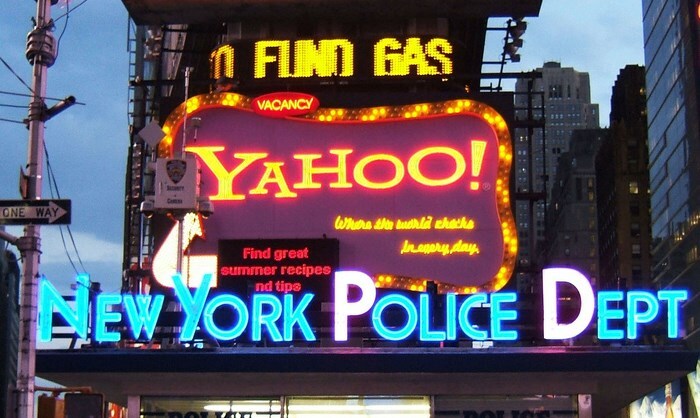 That in mind, Yahoo intends on being well positioned when the dollars flow at a faster clip. The company is not alone in this line of thinking. Facebook has recently revamped its business and product development structure to be mobile-first as well. Facebook Home is a good example of this focus. For the [first] quarter, Yahoo had display revenue of $455 million, and search revenue of $425 million. Both of those figures are down on a year by year basis. […] For reference, display revenue for the company was $591 million in its last quarter, and search revenue of $482 million.